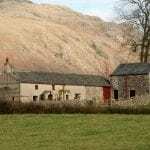 Murt is a traditional farm, dating from 1728, situated in the Wasdale valley. The camping barn is a converted stone hayloft and byre, attached to the farmhouse, with stunning views to the Scafell Massif and the surrounding fells. Sleeping accommodation and cooking area are on the first floor, reached by an internal wooden staircase. The shower, toilet and washing up facilities are downstairs. Electricity is metered (£1 coins) and provides light, water heater, hot shower, electric heater and a power point. There is a simple BBQ outside. You will need to provide everything for camping except your tent & mattresses. Murt is ¾ of a mile from Wastwater, a great location for high fell walks including Scafell Pike, Mosedale Horseshoe and Great Gable. There is direct access to footpaths and bridleways. For those interested in flora and fauna, the Wasdale valley has great variety, and coastal dune walks. Muncaster Castle and Ravensglass (for the Eskdale railway) are all only a stone's throw away. There are 2 pubs in the village 10 minutes' walk from the Barn. Car park adjacent to barn. No dogs. This accommodation is featured on our map of the Lake District and here is its own website. GR 131040. From the A595, follow signs to Santon Bridge and Wasdale. After 2 miles, bear sharp left over bridge, and right immediately afterwards. At junction turn right, to Wasdale Head, and Murt is the 2nd gate on left. Seascale station, then taxi to Wasdale. This accommodation is near mountains, is in a National Park, is available to individuals, has a pub within walking distance and is on the camping barn map. Oh Wow! Take a look at Murt Barn Camping Barn. Its is all in teh location. Up at Nether Wasdale, at the sea-end of Wasdale, but still surrounded on all sides by the steep-sided, towering crags that make Wasdale so atmospheric. You can be sure that you’ll be treated with easy access to the best landscape in the British Isles as well as some of the most unpredictable weather. Inside it is attractively rural with whitewashed walls and barn-stalls still in evidence. The kitchen is effective and the showers are hot though, so your base for exploration is all set. 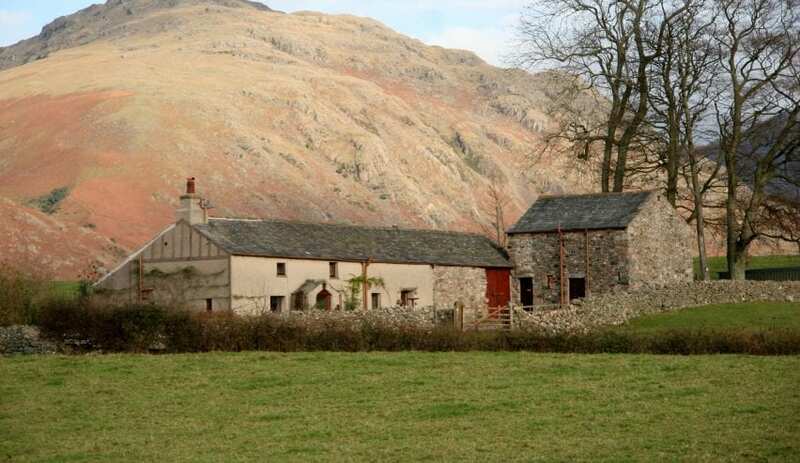 An ex-YHA camping barn in stunning a Lakeland landscape. Murt Camping Barn provides shelter in the Lake District with stunning views of the Scafell Massif, and the surrounding fells. Just like camping you need to bring your own cooking equipment and a sleeping bag. everything except the tent and a mattress. The barn has electricity, hot showers and an electric heater. This farm hayloft and byre, was converted with the suport of the YHA over 20 years ago, to provide shelter to walkers in the Lakes. For the last 10 years it has been part of Lakeland Camping Barns and it is now part of the Independent Hostels UK network too.